Toasting with Champagne is not just for holidays and formal occasions. 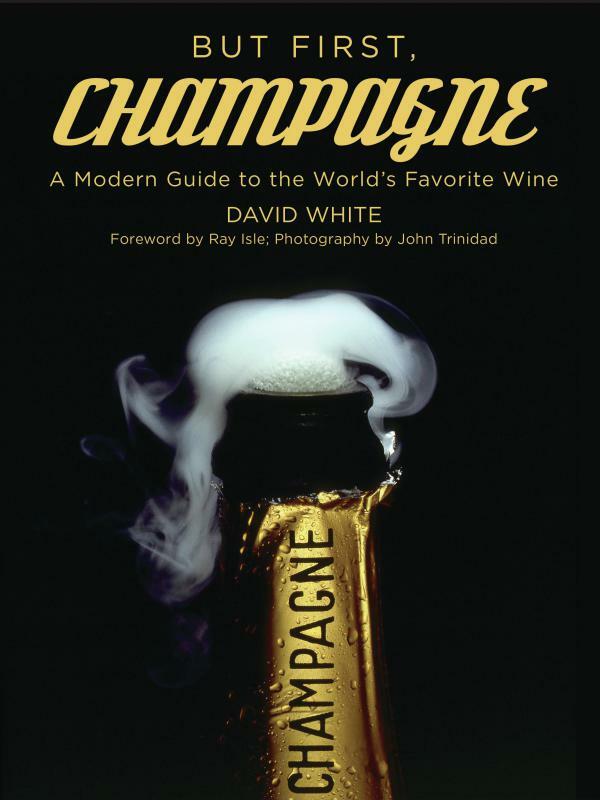 David White's new book But First, Champagne highlights the history of the bubbly beverage and profiles many producers who are part of the French region's "grower revolution." Inside Jacques Selosse's cellars, one of the leading grower Champagnes, where many new producers have apprenticed. Antoine Coutier of R. H. Coutier Champagne prepares to tend his family's vineyard in Ambonnay, one of the grand cru villages in Champagne. While some of the grapes are sold to big Champagne houses like Moët & Chandon and Veuve Cliquot, the family has also been bottling its own Champagnes since 1971. The French would sooner have our heads on a plate than hear us call all that bubbly Champagne. And that's the first thing you need to know: Only wine made in the Champagne region of France (a province that lies about 100 miles east of Paris), can be called Champagne. There are strict laws about which grapes can be used and how to make the wine. But while Champagne was once reserved in the popular imagination only for our finest occasions, that's changing, says David White, author of the new book But First, Champagne. "Celebrations – and Champagne – should not just come once a year," White says. "From dinner with friends to a child's laughter or a lover's embrace, every day has moments worthy of a toast." He recently talked to me about sparkling wine— what makes one kind different from another, how to choose it, how to pair it with food and how small growers are changing the industry. 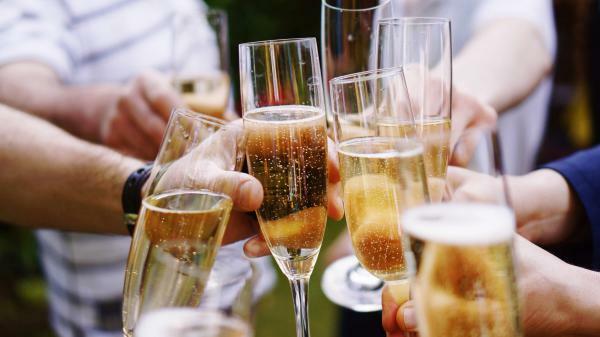 How is Champagne different from other kinds of sparkling wines, like Cava or Prosecco? What makes the Champagne region a special place? Champagne is special because of its terroir – that concept that great wines invariably express time and place. That terroir explains why Champagne tastes different from other sparkling wines. The region's cool climate is quite rugged for wine growing. Grapes there ripen slowly, allowing concentration of flavor without reducing freshness. Its identity is also derived from deep chalk soils. Other bubbles can be just as good, to be sure, but they're different. Just as an apple grown in Virginia tastes different from an apple grown in Massachusetts, sparkling wines from say, Sonoma, Calif., will always taste different from Champagne. Why is France so rigid about keeping the Champagne name only to wines produced in the Champagne region? It's easy to think that there's something particularly French about saying Champagne is reserved only for wines from Champagne. But geographical indications have a long history: foodies know that Gorgonzola and Prosciutto di Parma come from specific regions in Italy. With liquor, geographic indications began with Champagne. In the mid-19th century, after producers in the Loire Valley began co-opting the name "Champagne," French courts began protecting the region's wines. The Treaty of Versailles, which ended World War I, solidified trademark protection across the globe. But the United States didn't sign the treaty – which is why American producers were allowed to label their sparklers as "Champagne." The U.S. government finally agreed to end the use of "semi-generic" names like Champagne, Chablis, Burgundy, in 2005, but many producers — think Korbel, Cook's, and André — were disappointingly [for France] exempted by a grandfather provision. It seems like more people are drinking Champagne casually now. Champagne is absolutely becoming a more regular indulgence – and I'm thrilled about it. For starters, Americans are taking food more seriously than ever before – and Champagne is exceptionally food friendly. Champagne and other sparkling wines deserve a spot at the dinner table all year long. Most sparklers are characterized by vibrant acidity and freshness, which help them cut through spicy meals, complement savory food, and elevate even the simplest of dishes. If a Champagne is particularly rich – think Krug Grand Cuvée — I love pairing it with a hamburger. For crisper, drier bubbly, nothing beats raw fish. Sommeliers are also playing a more important role than ever before – and I've yet to meet a somm who dislikes Champagne. Social media has also played a role. How is social media fueling Champagne's popularity, and especially the trendy grower Champagnes discussed in your book? Social media has played a huge role in Champagne's surging popularity. Hashtags like #champagneeveryday are convincing consumers that every day is packed with moments that are worthy of a toast. When wine influencers – think hip sommeliers in New York, San Francisco and Paris – gush over new producers on Instagram and Facebook, wine enthusiasts take notice. Your book has an entire chapter called the "Grower Revolution." What are "grower Champagnes" and how are they different from the bigger and more well-known producers, like Dom Perignon, Veuve Clicquot and Krug? With most Champagne, the goal is consistency. Big Champagne houses like Moët & Chandon and Veuve Clicquot blend wines from different vintages and different vineyards to deliver a consistent experience to consumers each year. This isn't a bad thing; there's much to be said for consistent elegance. But today, most conversation about Champagne is focused on the growers – those farmers who grow their own grapes and make their own wines. Most of these growers, who only account for about 5 percent of overall Champagne sales, eschew consistency in favor of singularity. The current generation of growers is taking the expression of terroir to its logical end point, offering single-vintage, single-vineyard, single-variety wines. Do grower Champagnes taste differently? Are they more or less expensive than other Champagnes? Broadly speaking, grower Champagnes have more personality. And there's something obviously and instinctively appealing about buying from a small grower. But small farming doesn't always result in superior wines. Some crops, even though worked by a great winemaker, are better off in blends. Exceptional grapes are easily ruined by inexperienced winemakers. Champagne is, unfortunately, expensive. It's hard to find a bottle for less than $40. But that's explained by economics. The wines are expensive to produce and supply is limited by the geographic boundaries of the region – fewer than 80,000 acres are under vine. Plus there's quite a bit of demand. Many grower Champagnes represent a good value, as they don't have the high marketing expenses or bureaucratic overhead of large producers. On the other hand, they don't benefit from any economies of scale. So all in all, the price difference is minor. If I want to try or buy a grower Champagne, how can I find one? Finding a grower Champagne is easy. Just look for the two letter code "RM" — which stands for récoltant-manipulant– on the bottom of a wine label. 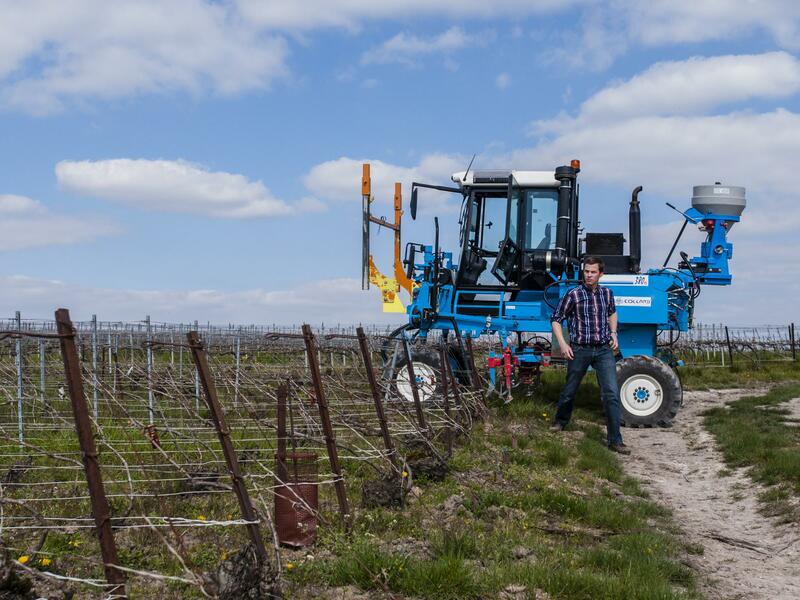 [Editor's note: "Récoltant-manipulant" is the French term for growers who make their own wine]. That said, there are plenty of subpar grower Champagnes – and plenty of stunning bottles from big producers. That's why I always urge people to ask for advice. Most merchants and sommeliers are keen to help patrons find the perfect wine, regardless of the price. They are also interested in introducing new finds that will impress their customers. Some hot names right now include Jérôme Prévost, Cedric Bouchard and Ulysse Collin.